Trump and Putin at the Helsinki summit. 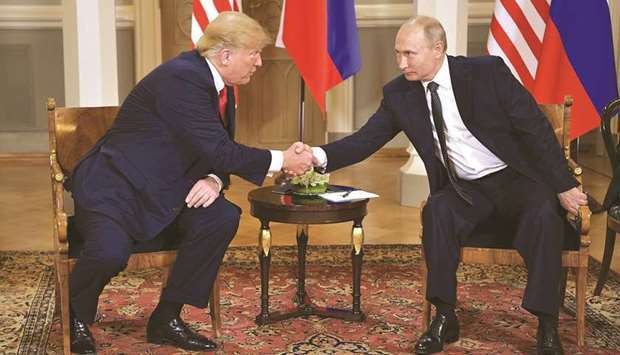 Both the US and Russia want to free themselves from all nuclear-arms limitations – not to face off against each other, but because they now regard China as their true nuclear adversary. * Sigmar Gabriel, former German Minister of Foreign Affairs, is a member of the Bundestag.